Business at a craft table with other players and NPCs. On June 1st in the monthly report of the S.MG MPEx asset (also traded as pass-through on Havelock Investments), source code for Eulora client were published. Several days later also Windows binaries for the Eulora client followed. Work on releases for other platforms and on a game manual is ongoing. 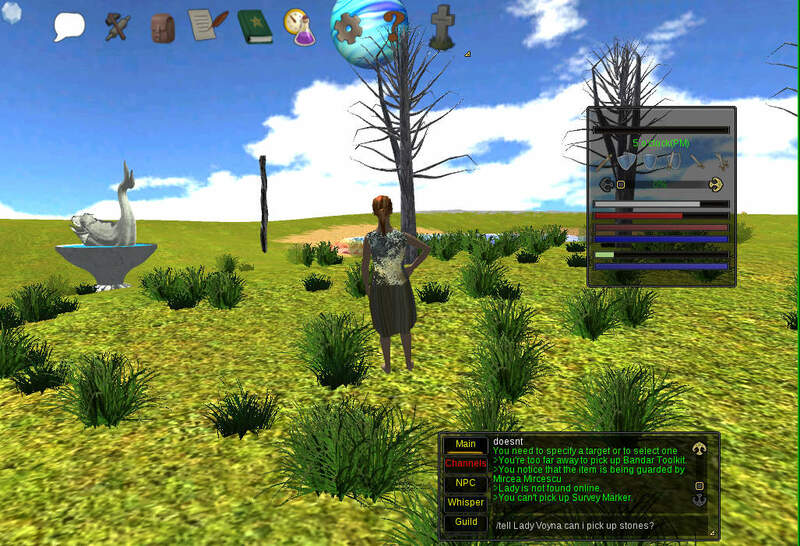 Eulora is 3D online multiplayer role playing game. 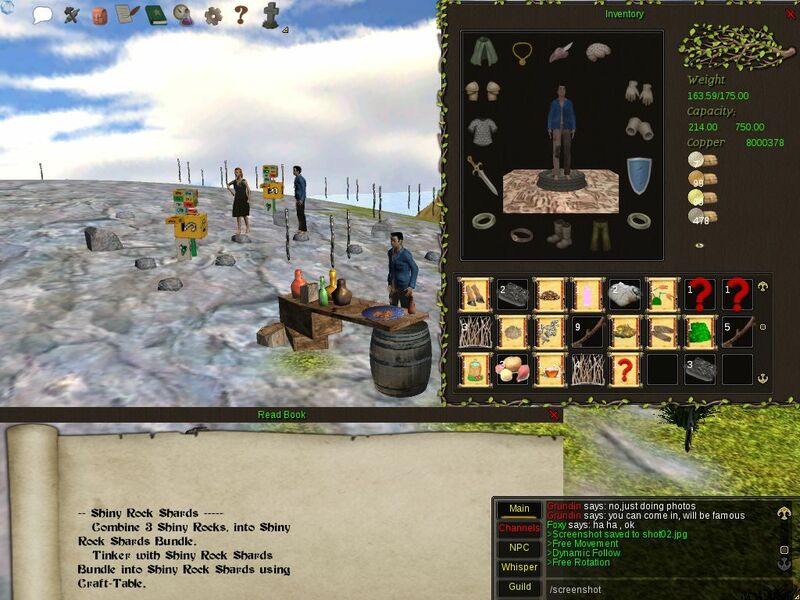 It is currently mostly focused on exploring, gathering and crafting, with plans to add guilds and fighting. Using crafted items, players will be able to build game world as they deem fit. On Sunday, July 7 evening an inauguration party took place. More meetings are planned, as Eulorian gods like to walk among the mortals and bestow precious gifts and advice. Accounts are freely available to members of the #bitcoin-assets web of trust. Access to stuff requires obtaining in-game currency, which is fixed to Bitcoin. This exchange is a source of S.MG revenue and thus, dividends for patient shareholders. Eulora landscape. There are dreams of colonizing the moon already.